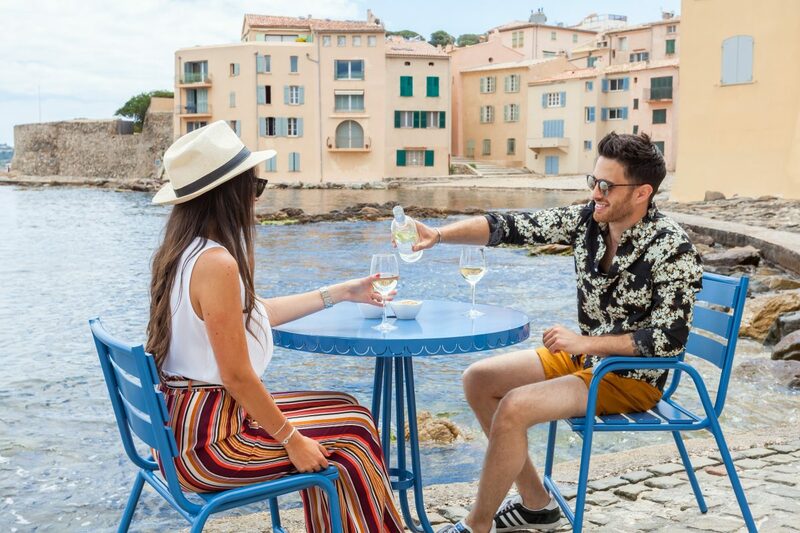 It feels like holidays, summer… This collection is inspired by the famous blue chair, legendary icon of the ‘Promenade des Anglais’ and of all the French Riviera. 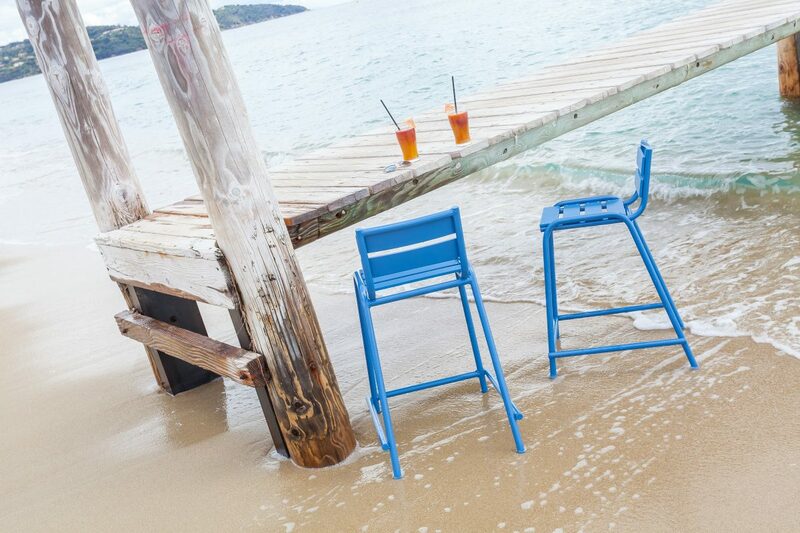 This retro-looking furniture finds its origin with the model created in the fifties by the ingenious Mr Charles Tordo. 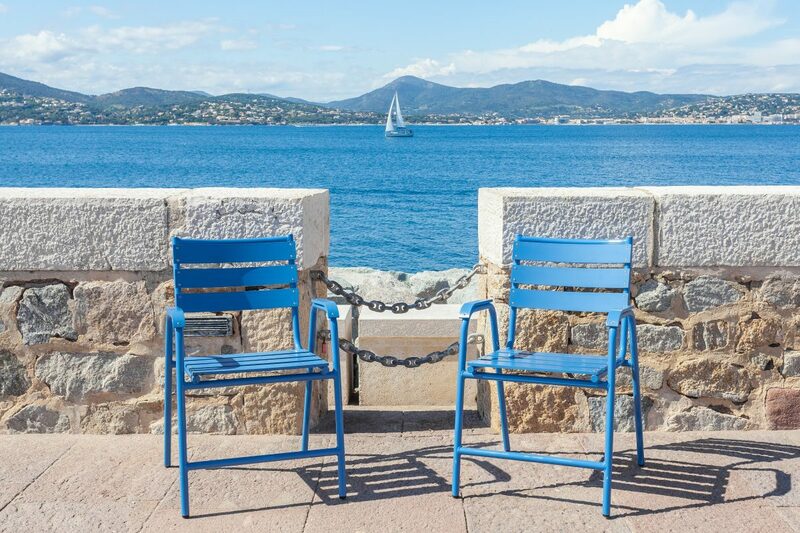 The town of Nice asked the designer Jean-Michel Wilmotte and Edmond & Fils to bring their know-how together for the blue chairs, and that’s how the ‘Promenade des Anglais’ got its famous furniture, at the disposal of each and every one. 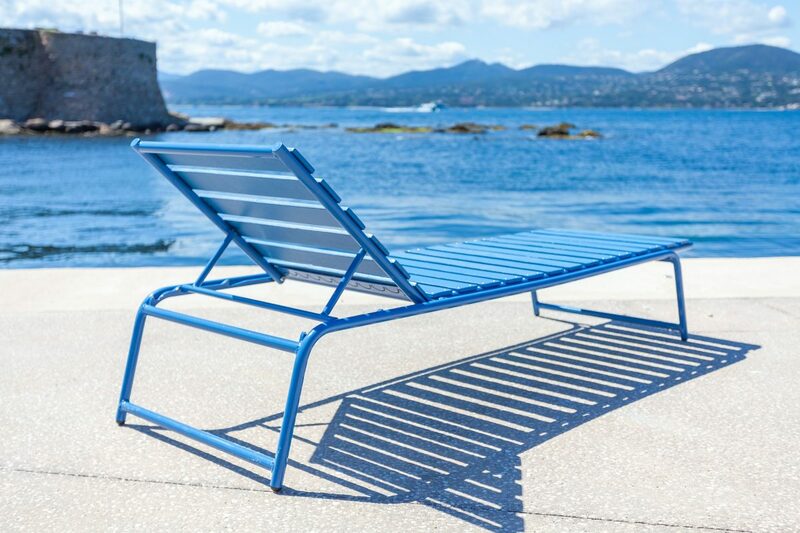 Its nautical design and massive pipework, associated with wooden aucoumea slats, offer incomparable comfort and resistance. While using modern technologies, at Edmond & Fils we still wish to respect the ‘Authentic’ look, and that’s how the sealed stainless rivets replace bolts used at the time, and laser cut succeeds former days’ embroidery. 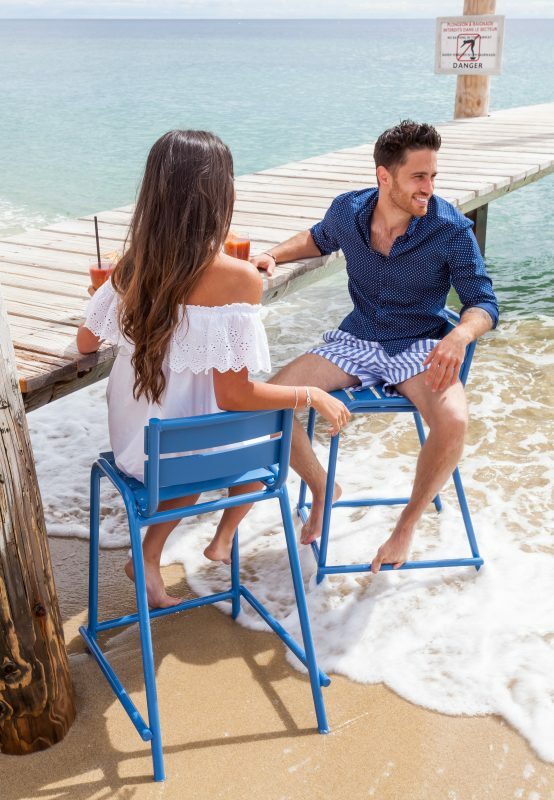 Amongst the sunbed, armchairs, chairs, high stools and our different tables sitting up to 12, you will definitely find the ensemble satisfying your need! 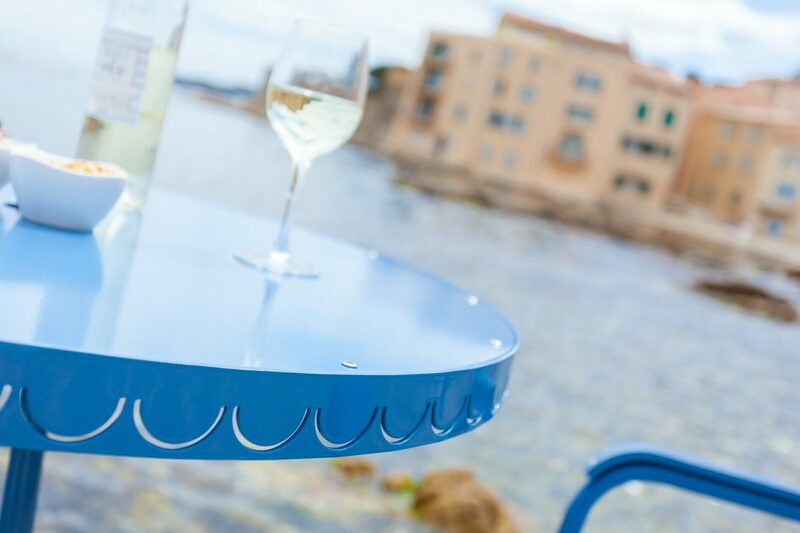 Pool, terrace, park, garden, the French Riviera atmosphere will take over the scene.